LANCE-Corporal Frank Derwent Lockey was 34 when he was killed 100 years ago this week. He was part of a working party sent up to the frontline to repair the British barbed wire against German raids when he was hit in the head by a sniper. His friends later recounted that he took 20 minutes to die. As they were old schoolmates from the North Eastern County School at Barnard Castle, they stayed with him to the end. He was a grocer’s son from Durham City, who had worked in the family business before the war, and they buried him just behind the line – his friends were granted permission to stay in the line for his funeral. Private Charles Todd, of Browney Colliery, wrote home: “Last time we were in the line, one of the company, a brave lad from Durham, F Lockey, fell in action. The 18th Battalion of the Durham Light Infantry, better known as the Durham Pals, had been withdrawn from the line on May 19, 1916, and stationed at the village of Colincamps, a mile or so behind the front in northern France. 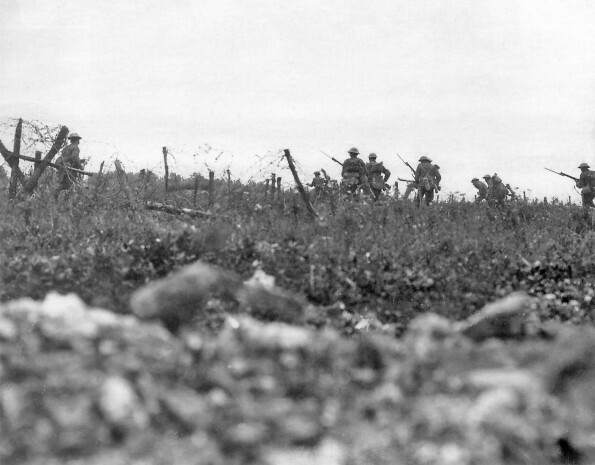 From there, they were sent up to the line on daily working parties, bringing supplies, repairing communications trenches or, as on May 23 when L-Cpl Lockey was killed, repairing the defences at the front. The following day, the Pals pulled out of Colincamps and were stationed at a hutted camp in Warnimont Wood much further behind the line. Here, they practised attack. At first, they must have been relieved to escape the immediate dangers of life in the trenches but, as the days passed, they began to realise that all the training was in the techniques of capturing an enemy-held trench and holding a position against a counter-attack. Before the war, Lance Corporal WE Marshall had been a teacher and trained at Bede College. He wrote home to the college magazine: “The remainder of the month of May we spent in rest huts in a large wood well behind the line, from which we travelled daily to the trenches on working parties.